David was a quiet man. His life began in Wichita, Kansas on Jan. 29, 1933. The Lord took him peacefully on July 7, 2017. He served in the Air Force, after which he attended UC Berkely. A number of years and many adventures later, he moved to Merced, California where he was employed by the Merced High School. 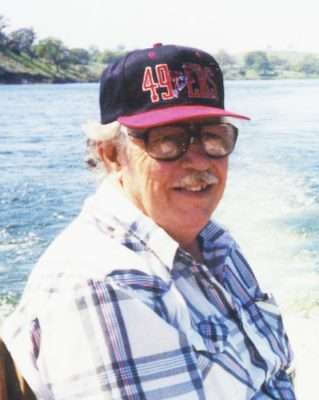 Following his retirement, he purchased the Town Frosty in Snelling, California where his business boomed for approximately seven years. David then moved to Greenville, California where he lived until his final move to Susanville in 2006. David is survived by three sons, David Paul Cameron, of Chico, California; Glen Cameron, of Salmon, Idaho; Gordon Cameron, of Merced, California; and one daughter, Cherie (Cameron) Colaw, of Tempe, Arizona; two grandsons; one granddaughter; three great grandchildren; and his girlfriend, Carole Siekierski, who shared with him his last 30 years. David had the patience of Job a heart full of understanding. There will be a void in many lives with his passing. Mary went home to our Lord July 18, 2017, in Reno, Nevada at the age of 84. Mary was born April 19, 1933 in Okalona, Arkansas to Alvis Fay Tillman and Lillie Prince Tillman. Mary started work at Sierra Army Depot at the young age of 18, and was employed there until her retirement in 1988. In her many years of service, she received numerous awards and recognitions. Mary was preceded in death by her husband, Donald Burbidge, in 1973; her parents; one brother; and one sister. Mary is survived by her sister, Wanda Pipkins, of Newcastle, California and her brother, George “Bud” Tillman, of Kirby, Arkansas, as well as many nieces and nephews and many friends she considered her family. Mary was loved by many and touched many lives in her years on Earth. She will be missed by all those blessed to have known her. Mary was a member of the Living Hope Assembly of God Church in Herlong, California taught Sunday School and taught in the church’s elementary school. A memorial to honor Mary will be held at 1 p.m. Aug. 12 at the Living Hope Assembly of God Church in Herlong, California. A potluck will follow. Please bring your favorite dish.